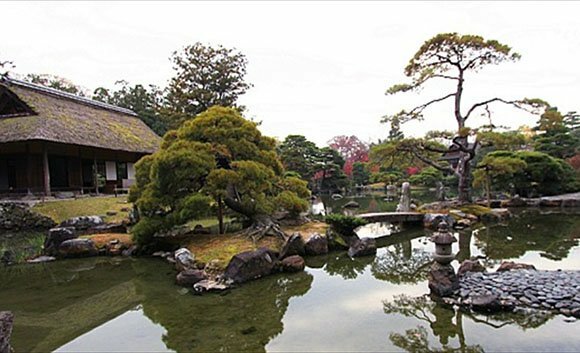 Perhaps one of the best examples of Japanese garden design and architecture, the Katsura Imperial Villa was finally completed in the middle of the 17th century and was once the residence of the Katsura family, who were part of the Imperial clan. While visitors can explore the villa for free, they must join an organized tour which lasts around an hour. Although the tours are only available in the Japanese language, there are foreign language audio guides available for visitors to use to give them a greater insight into the history of the site. There are six tours every day except Mondays when the site is closed to visitors. Arrangements to join a tour must be made in advance by presenting a passport to the Imperial Household Agency’s office in the Kyoto Imperial Park. There are a few tour spots which can be reserved via the agency website, but this should be done several days in advance as they are booked up quickly. For those who are hoping to pick up a ticket on the day, there are a small number of same day tickets which can be obtained on a first come first served basis from the villa from 11am. The tour follow a circular walking trail around the garden, however the palace buildings may only be seen externally, and cannot be entered at any time. Photography is also only possible from designated points.